Naturally. This great news will be greeted by a few miserable and parasitic people who contribute little to society, yet clamor for goodies paid for by people who do contribute to society. And with that area fenced off, the folks at Neo Vertika and the other area buildings just let their dogs $hit and piss all over the sidewalk now. It’s disgusting walking around there. they should be picking up the dogs $hit..the majority of people nowadays, and especially those in Brickell, only have pets as a status symbol. As a native Miamian, I have been spending 3 out of 4 weekends in NYC. I’m amazed how much dog crap is on the sidewalks in Manhattan. It’s just a new habit of leaving all the shoes at the front door. To the people who say the homeless and crackheads will screw it up, it’s called the “broken window theory.” It cleaned up NYC in the 90s. The same with San Francisco, except things are going backwards because it’s idiot government providing free needles while banning plastic straws and bags. Yes because Miami is just like NYC and SF!! Um, yeah, that’s why you live in New York City and not Miami. Slow p r o j e c t.
Will it be done in the next decade? As a new resident recently relocated from Orlando, I am pleased to see this new addition to the area. So far, it has been a great transition and I’ve met many wonderful people. In the meantime, no sidewalks for you! Sorry, pedestrians, we don’t care that much. 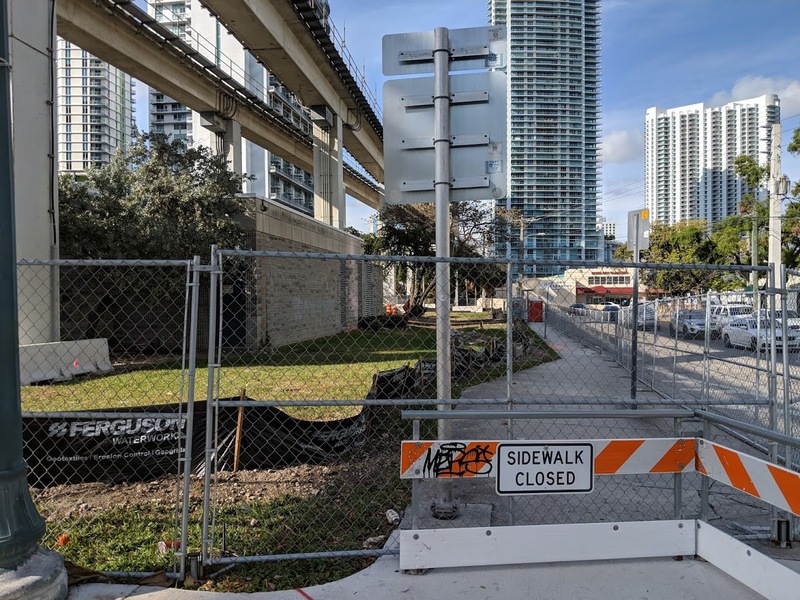 Oh wow, who would’ve thought that there will be a need to close off an area to pedestrians during construction? 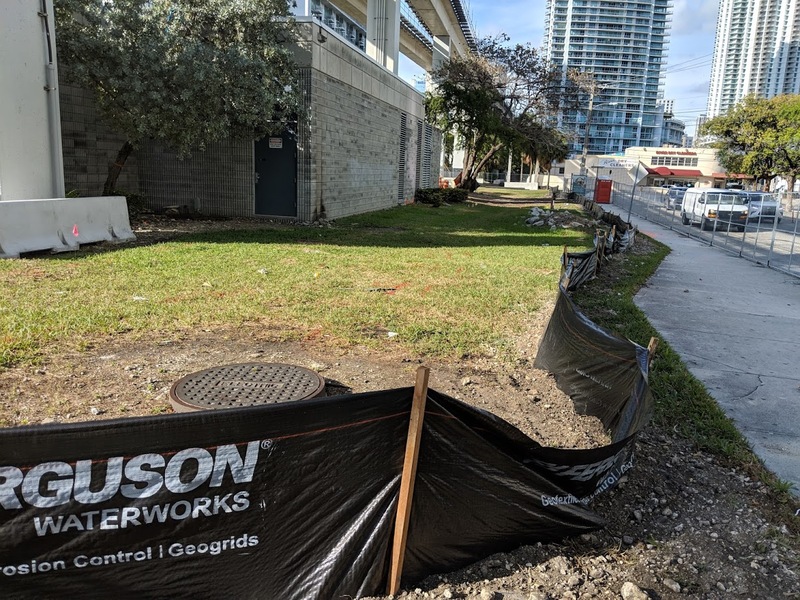 Once finished, all the crackheads that harass everyone will have a nice place to hang out during the day and night instead of right across by the Publix at Mary Brickell Village. Ok so to hell with parks and public spaces then! Crackheads will “hang out during the day and night” there.. really? Gee, you must know a lot of crack addicts or was once one yourself and that’s how you’re aware of their habits. it doesn’t take a crackhead to notice all the loitering that goes on along this street. go to 7-11 across from El Tucan any night of the week and it’s full of loitering, begging and homeless doing bathroom activities. So are you to Anon saying “crackheads” are going to hang out at his park day and night once it’s finished? If so, it makes one wonder how you know the habits of a crackhead, unless, you know who is a crackhead and who isn’t, and where crackheads like to hangout. i can’t even believe i’m replying to your dumb comment. i didn’t say crackhead, i said loitering, begging and homeless. this is to be public space, open to anyone. give me one reason why the homeless would move out, unless forced to by security, which isn’t going to happen. the security there now does nothing to clean up or enforce laws here. there needs to be a better solution for the homeless people, otherwise they will remain in the same space, especially if it’s cleaned up nicer than what they currently have. You know, if stupidity was a crime, you’d be doing time Anon. The poster insinuated and wrote that “Once finished, all the crackheads that harass everyone will have a nice place to hang out during the day and night.” Whoever this person is, he/she said “CRACKHEADS!” Now you’re the one, Anon, who barged your way into the conversation. You’re the one, Anon, who needs to learn how to stay on point. Homeless people and crackheads are two different types, GET IT!!!? The topic is about CRACK ADDICTS, and that’s why I’m wondering how this poster knows what crack addicts habits are. Don’t slide into a conversation and think you’re sounding smart because in this instance you appear to want to argue just for the sake of arguing. No, an educated professional who lives in the area and not only sees what is going on in the area right there but has had multiple discussions with law enforcement. 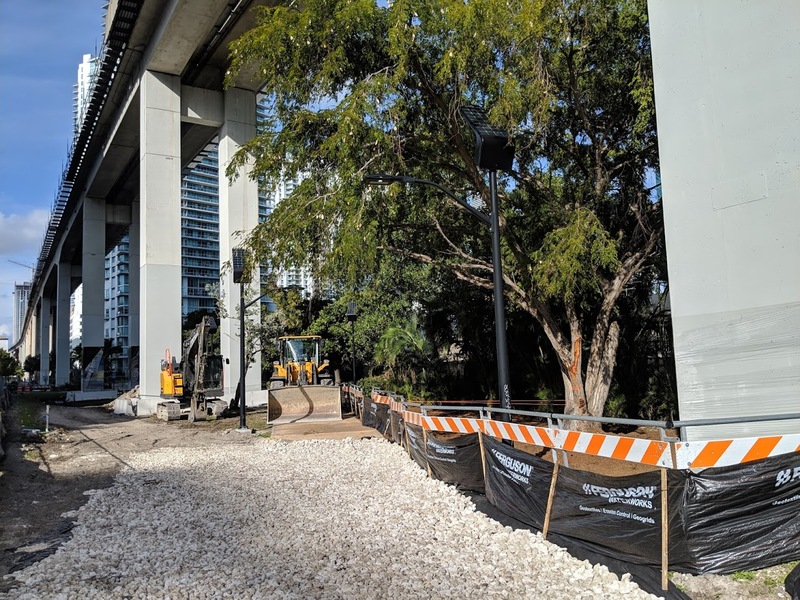 Great, the homeless who hang out at Brickell Station will have a lovely outdoor toilet. Let’s not build parks and green spaces! I’m with you! 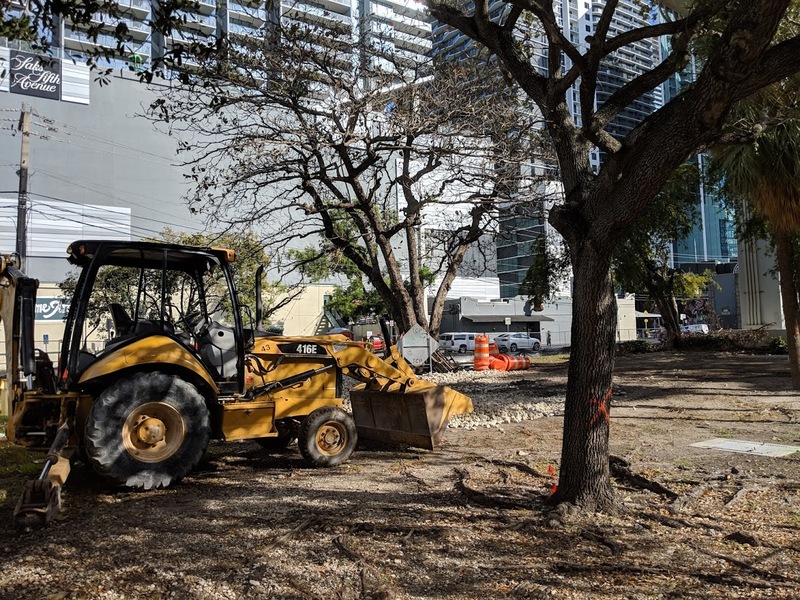 Make Brickell Great Again! 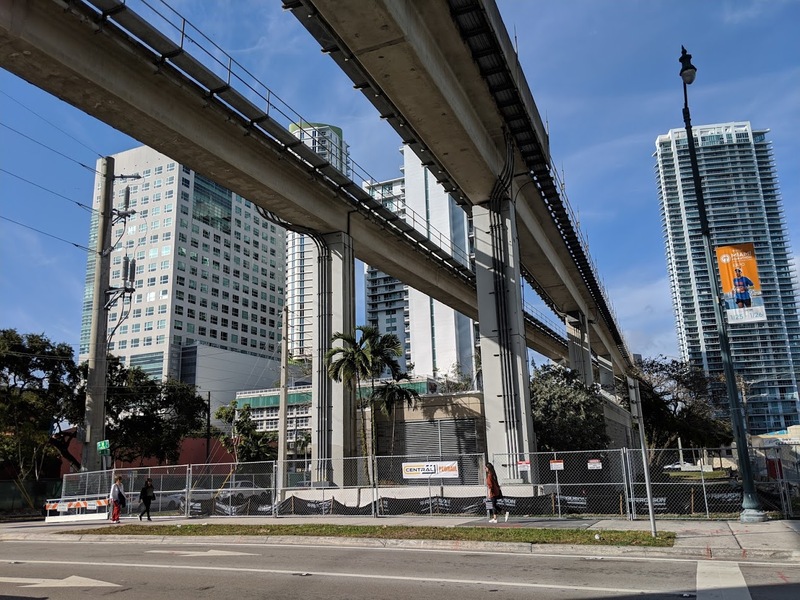 Miami Gov’t has no commitment to public places. It lets them go to shite, every last one of them.